I love working as an artist. I love the colors, textures, and building something that started as an idea in my head and knowing that I can make it real - something that will last for ages beyond me. I love knowing that I am part of a long tradition of artists before me. Like them, however, I also struggle to make a regular income doing this work. It's all about cultivating multiple revenue streams! Doing my part to stay out of the poor house, I have two eBay auctions up right now that will be ending this Saturday, October 26th. 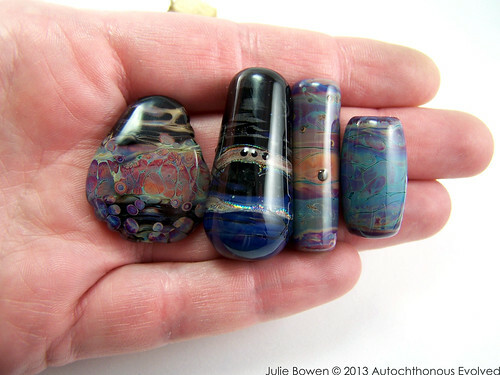 If you know any jewelry artists or lampwork aficionados, please pass this on! One is a ten (10) focal bead orphan destash (they need a good home!) with coordinating lampwork headpins. Click on the image to go to the eBay auction listing. The other is an 80 bead orphan destash with beads, focals, a few lampwork buttons, a couple of disks, and a couple of rings. Click on the image to go to the eBay auction listing. You know you want to! Click on the image to go to the eBay auction listing. Just one little click! The starting bids are really low. 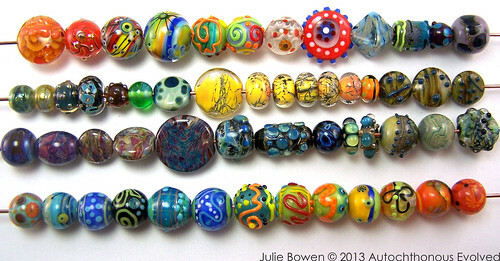 The 10 focal beads is starting at $0.99. The 80 beads and focals is starting at $40. 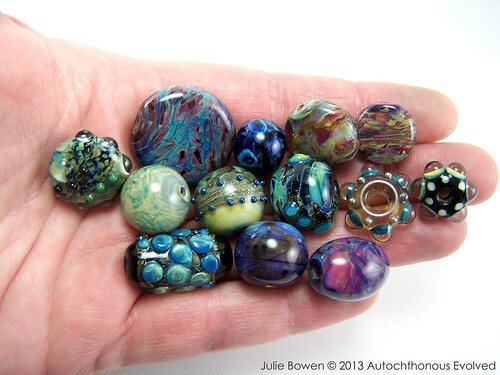 Considering that the average price of one focal bead in my Etsy store is $25 these auctions present an amazing opportunity to score a bargain! These are top quality beads, they just aren't as consistent or as big as I need right now and a girl's gotta pay her bills! Artists: do you do destashes? Do you have regular sales? What methods do you use when you're trying to increase your sooner-than-later revenue? Leave me a comment and share your insight! Customers: Does buying beads (or other art) at a discount ever make you feel more confident about buying full-priced art later? Is this the only way you buy art? Do you avoid destashes because of perceived lack of value? Leave me a comment and let me know!